Sometimes cooking fish can be a bit scary to prepare or even boring. 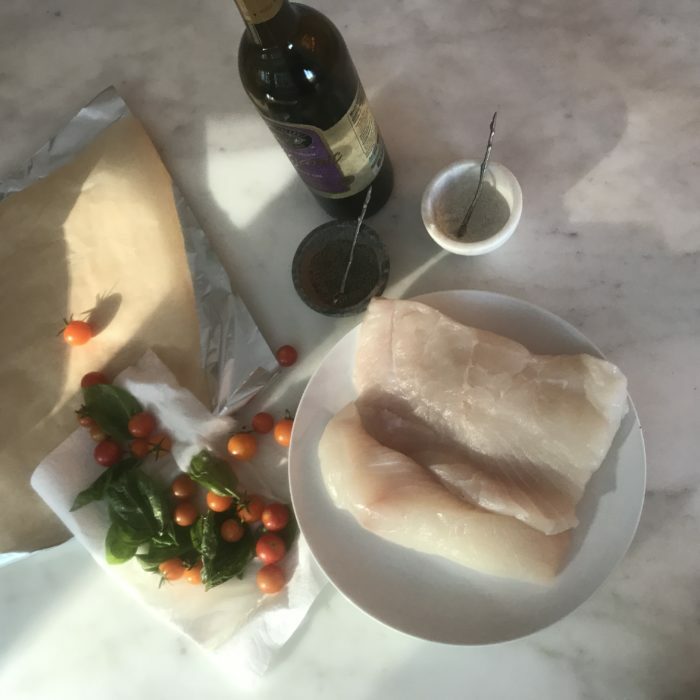 This way it is super easy to assemble and all the flavors combine nicely as the fish steam in the little packs with all the ingredients. Place the baking paper on top of the foil. Put 1 piece of fish on top and spread 1 tbsp of pesto sauce. Add a couple tomatoes, olives and basil. Drizzle some olive oil and some salt and pepper as well. Close the package starting the baking paper first then the foil, which will hold it together. Repeat until all packages are done. Cook for 20-25 minutes until fish is cooked through. This is perfect for a dinner party as you can prepare all the packages in advance and just put them in the oven before dinner!! !